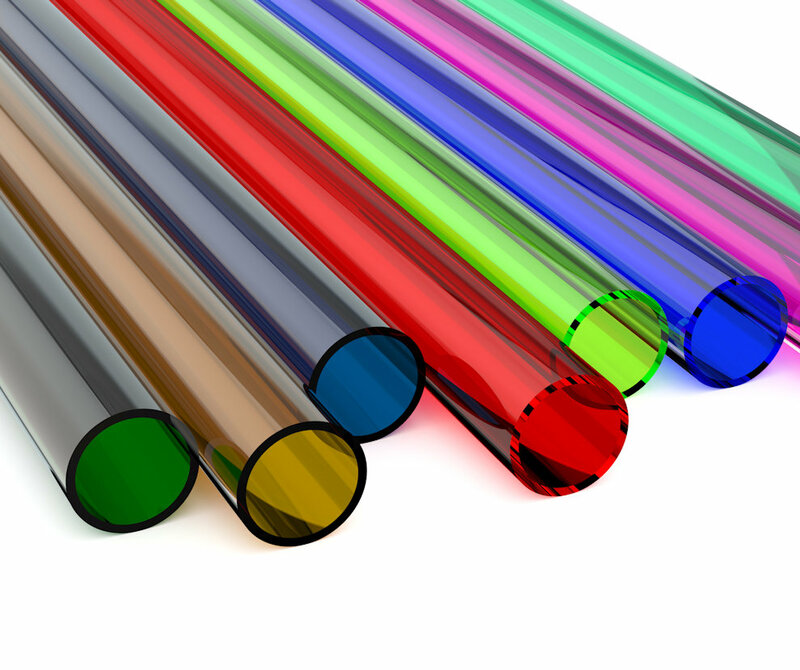 Colored Plastics offers a complete line of rods in clear or color and clear or color tubes to fit about every need. 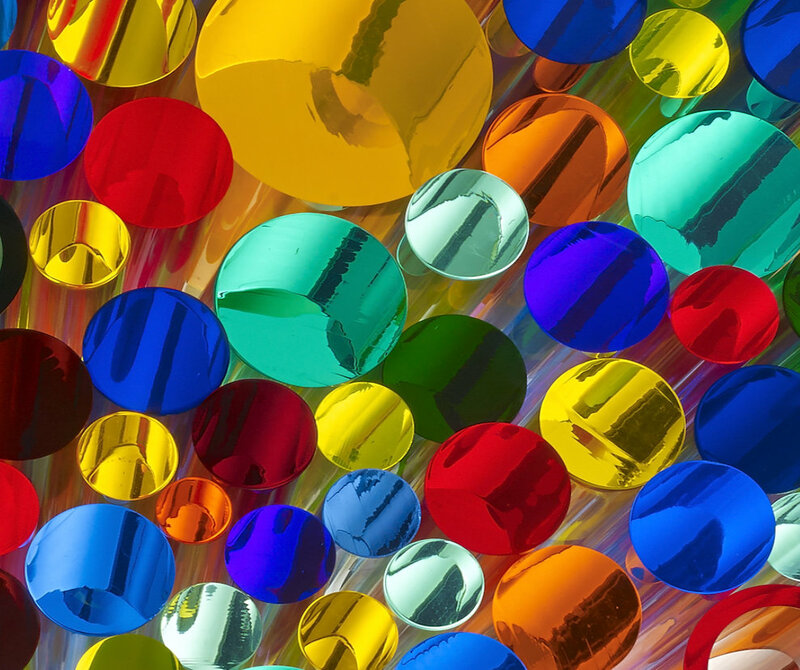 Cast acrylic is a superior grade of plastic and can be crystal clear with a light transmission of 92%, high enough to be used in lenses and other optical applications. With the addition of special dyes beautiful, rich colors are created in regular, pearl and fluorescent hues. Cast acrylic [plastic] rods and tubes are clearer and harder than extruded rods and tubes. Cast acrylic can be machined while the machining of extruded plastic is much more difficult. We also manufacture special made items in quantities. If you have an item you would like to have produced, email us at info@coloredplastics.com. 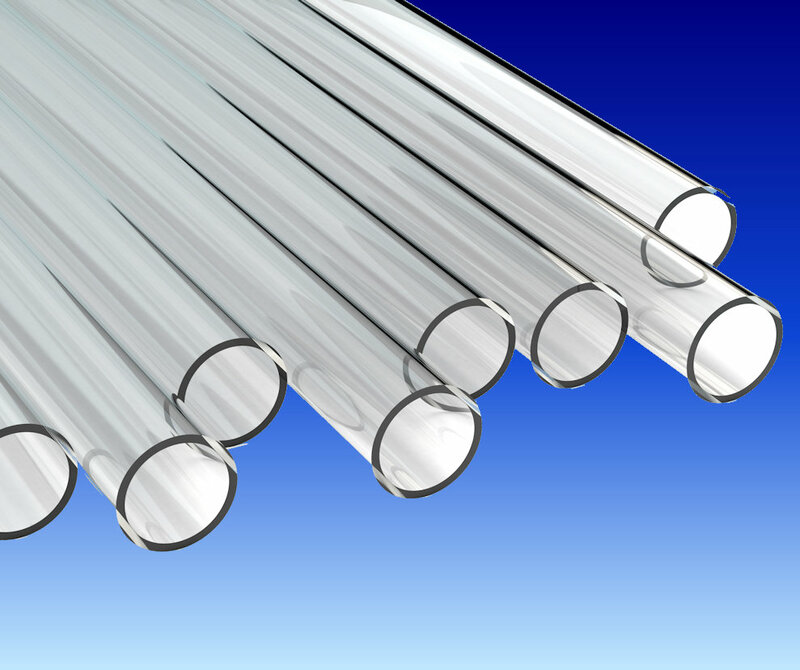 Our tubes are crystal clear and are great for displaying things or storing objects. We have a full line of tubes with an outside diameter of 1.250 inches up to 27 inches with several increments within each inch. The following list is an example of some of the tubes we have. Order one of the sizes we offer on line or request a quote for any diameter, wall thickness and length you need. Cast acrylic is as clear as glass but only half the weight. With a light transmittance of 92%, a low haze level of approximately 1%, and an index of refraction of 1.491 it is transparent enough to be used in the finest optical lenses. Order one of the sizes we offer online or request a quote for the length you need. Clear acrylic rods can be cut to any length for a cutting charge. Minimum of 4 feet per order. Shipping rods over 4 feet in length will result in an extra charge. Our rod colors are beautiful and rich. The color is uniform and completely through the rod no matter what the diameter. The rods or pieces of the rods can be used in artistic design and decorating. You are limited only by your imagination. 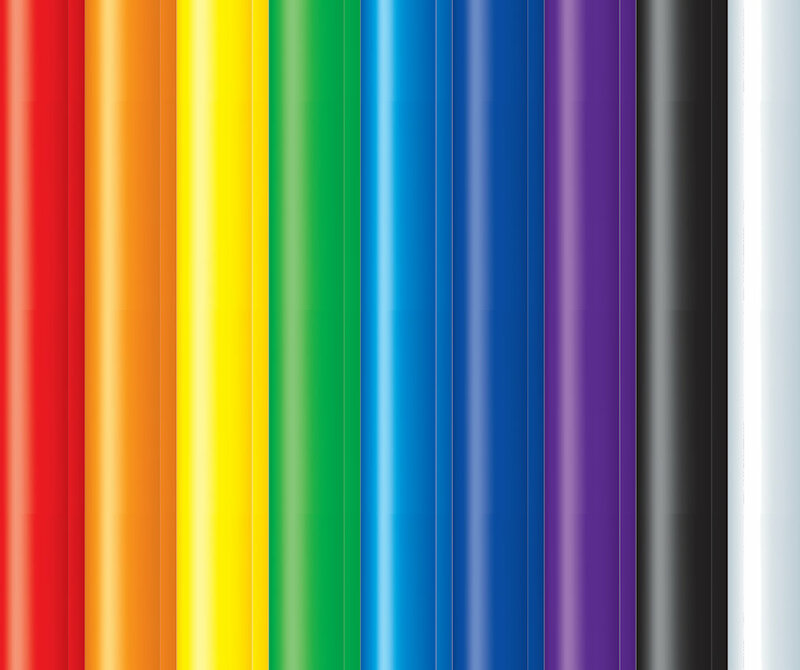 Colored acrylic rods can be cut to any length for a cutting charge. Minimum of 4 feet per color, per order. The brilliance of our fluorescent colors will dazzle you. In sunlight they are especially vibrant. Acrylic fluorescent rods can be cut to any length you need for a cutting charge. There is a minimum of 4 feet per color. All prices shown are for 4-foot rods. 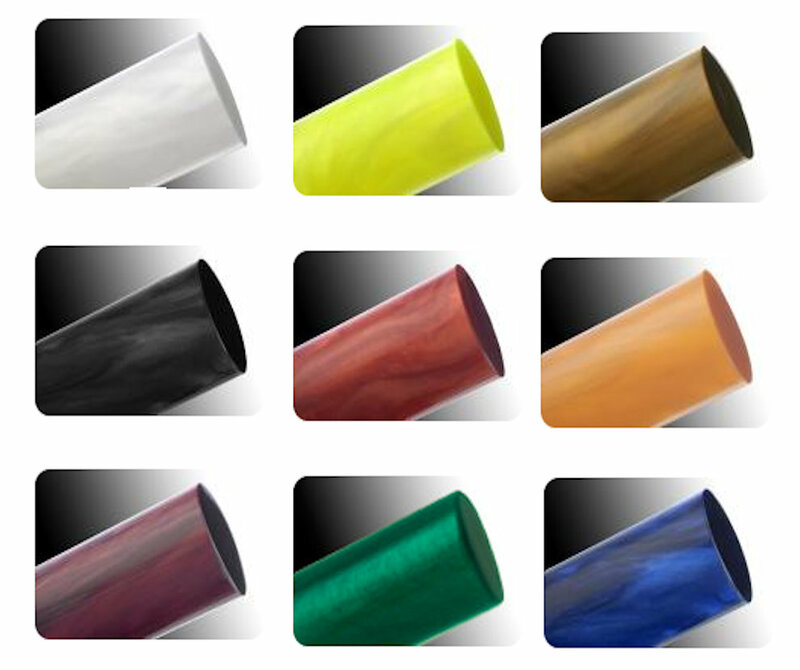 We now have cast acrylic tubes available in some beautiful colors. We have a full line of these colored tubes with an outside diameter of 1.250 inches up to 27 inches with several increments within each inch. The following list is an example of some of the tubes we have. Order one of the sizes we offer on line or request a quote for any diameter, wall thickness, and length you need. There is a minimum of 6 feet per color per order. 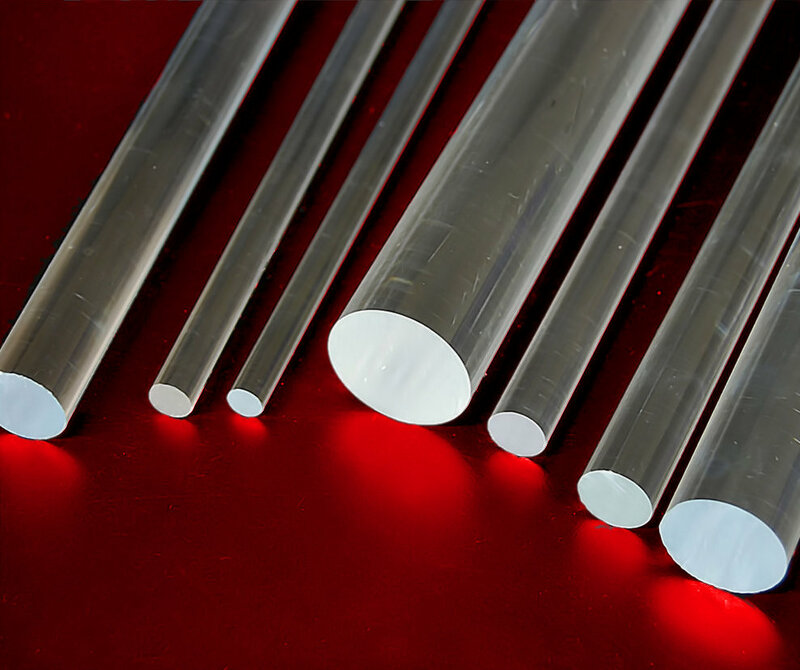 Our pearl colored acrylic rods are available in a variety of diameters polished or unpolished. Acrylic pearl colored rods can be cut to any length you need for a cutting charge. There is a minimum of 4 feet per color. The prices quoted are for unpolished rods. Cast acrylic plastic is not affected by moisture or sunlight and has a high strength to weight ratio. It is approximately half the weight of glass but many times stronger. Cast acrylic also resists alkalis, inorganic acids, most detergents and cleaning solutions. We have acrylic that will block ultraviolet rays or let them pass through. The machining qualities of cast acrylic are much superior to extruded plastic as well as its resistance to heat distortion, clarity, and higher tensile strength. It can also be heat formed without the loss of clarity. We also handle a full line of medical grade rods and tubes. Please browse our website to see our complete inventory of acrylic rods and tubes. We can custom make many items. For more information email us at info@coloredplastics.com or call 515-957-9367.